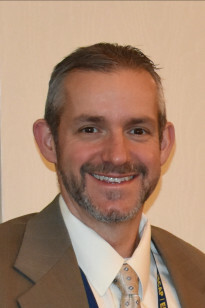 Dr. Eric Breimer is currently vice president of the Education Special Interest Group (EDSIG) of AITP and helps to organize scholarly conferences (EDSIGCON and CONISAR) in Information Systems Education and Applied Research. Dr. Breimer's scholarly work focuses on Applied Machine Learning and using web-based technology in pedagogy. His work helps guide faculty in the use of technology to improve education through technology-rich hands-on learning. His work has been published in peer-reviewed journals and presented at top refereed conferences. His most recent paper titled "Detecting Compromised Implicit Association Test Results using Supervised Learning" was presented at the 17th IEEE International Conference on Machine Learning and Applications in December 2018 in Orlando, FL. My goal is to teach students how to use high-level programming and information systems to solve problems in business and science that will make the world a better place. I believe a Liberal Arts education is the foundation of life-long learning and Computer Science compliments this foundation by teaching computational thinking and problem solving skills that are incredibly valuable in most careers. At Siena, students can get a timeless Liberal Arts education and an outstanding Computer Science education in one place. Web Application Development and Theory of Computation. 1999 - 2002 Instructor, Computer Science Rensselaer Polytechnic Inst. A study of video-based versus text-based labs for a management information systems course.